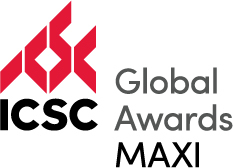 The International Council of Shopping Centers (ICSC) announced winners of the 2018 MAXI Awards on May 21 during a ceremony at RECon, the world’s largest retail real estate convention held in Las Vegas. 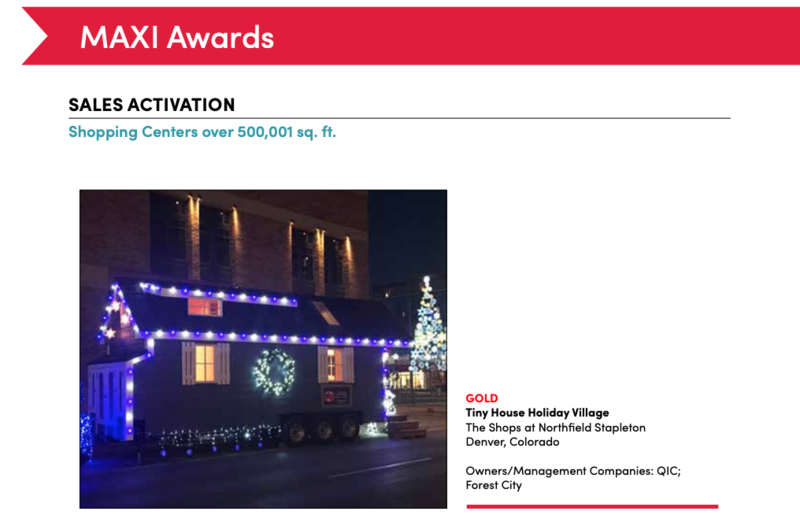 The inaugural Tiny House Holiday Village, the first of its kind in the nation, held at The Shops at Northfield Stapleton received a Gold Award in the Traditional Marketing category for Sales Activation. Ellis Communications Marketing was the agency of record working with The Shops at Northfield Stapleton and Colorado Tiny House Festival to promote the special event. Traffic was up 58% over the prior period. Sales were up 6.1% mall-wide for December, with most stores reporting double-digit increases from 12% to 53%. A vacant store space was leased as a pop-up holiday market of 100 vendors, drawing traffic and generating $6,500 in rental income. Sixty-nine media and influencer placements received 4,700,000 total potential audience impressions. Media and influencer placements included 1 print piece, 8 broadcast segments, 42 online placements, and 18 earned social media posts. Media and influencer placements received nearly 5,000 social media shares. 25,000 people responded to the Facebook invite. There’s nothing tiny about those results! The MAXI Awards highlight the retail real estate industry’s most innovative events, programs and technologies that add value to shopping centers and companies across the country. For a complete list of finalists and winners, click here.